information to your users – anytime, anywhere – and let location open new possibilities for your business. Surface unique insights with greater context by visualizing your data on a Google map. The Google Maps API for Work offers an analytics tool that enables you to see how visitors interact with your maps. 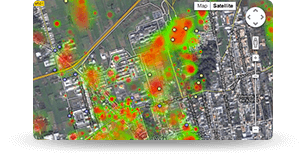 For example, you can see how many visitors switch to satellite view, the level they zoom to, and which features of the map are most commonly used. This allows you to customize the user experience based on their preferences and encourage a higher degree of engagement and interactivity. Increase efficiency through asset tracking and optimization. With the Google Maps API, you can build powerful applications that track assets, alert based on geofences, and geolocate devices, all delivered through the familiar Google Maps interface. Increase visitor traffic and drive user action by embedding maps in your sites and applications. By embedding maps in your website and applications, you can create a visually rich experience that engages your users, encouraging a higher level of interaction. Whenever you have data that has a geographic reference such as an address or lat/long coordinates, it’s an opportunity to provide a more engaging experience through a map. Build location-aware web and mobile apps by integrating the world’s most popular map. Power your location-based app with the Google Places API, which can be used to find nearby places across a wide range of categories. Help users find what they’re looking for faster with the Google Places Autocomplete API which suggests nearby places as you type. Calculate the optimal travel route and estimated time using the Distance Matrix API, and embed Street View to add local context to the application experience. Google Maps API is a collection of APIs that enable you to overlay your own data on a customized Google Map. You can create engaging web and mobile applications with Google’s powerful mapping platform including satellite imagery, street view, elevation profiles, driving directions, styled maps, demographics, analytics and an extensive places database. With the world’s most accurate global coverage and an active mapping community-making daily updates, your users will benefit from a continually improving service. Google Maps is the most widely used online mapping service in the world, with more than 800,000 sites using the Google Maps API and over 250 million active users on mobile devices alone. With the Google Maps API, you can provide this same familiar experience to your own users. The global catalogue of high-resolution aerial imagery offered by Google Earth is also available in the Google Maps API. The Google Maps API includes access to 45-degree imagery in over 120 cities worldwide, so that your users can explore your data with a unique perspective within a particular area. 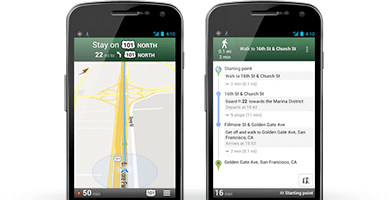 The Google Maps API delivers the full power of Google’s routing engine to your applications. You can generate routes between up to 23 locations for driving, walking or cycling. 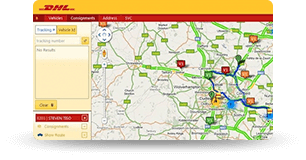 Routes can avoid toll roads or motorways, and travel time can be reduced by calculating the optimal order to visit each location. Travel time and distance between locations can also be calculated, for example if you want to offer users a way to filter search results by drive time. With a quick phone call, our Google Apps for Work specialists can point you in the right direction, helping you understand the different solutions and explore potential use-cases for your organization.